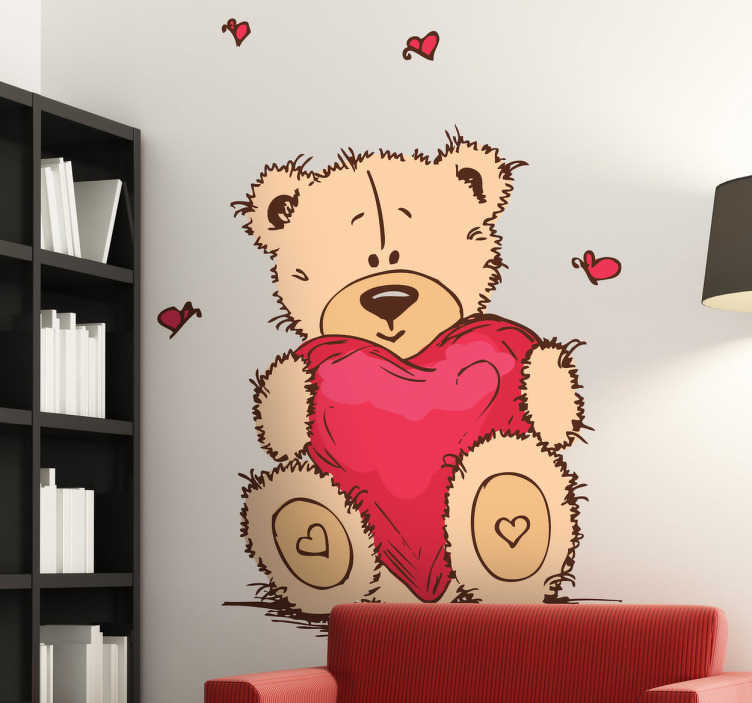 A fun decal of a cute bear holding a big heart from our collection of teddy bear wall stickers to make to personalise any space at home. Lovely design from our collection of heart stickers. Perfect to decorate the room of your child or to give as a present. Now you can use a decoration adapted to the tastes of the younger members of the house with one of our teddy decals, a very special one with a great deal of affection to show the love you feel for your children. Illustration of a smiling teddy hugging a heart-shaped cushion and various butterflies fluttering around. Cheap but high quality decals to convert a children's room into a loving space.